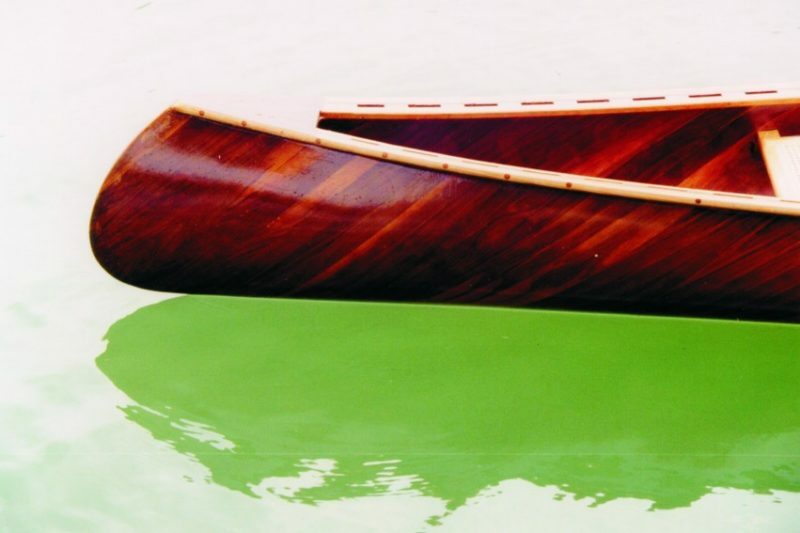 John McKibbin recently sent pictures of his refinished 18′ canoe. He built it twenty-five years ago, using cold-molded, that is, laminated composite construction, with WEST SYSTEM® epoxy. Laminating a hull is similar to making your own plywood on a three dimensional mold. While it may take more time and effort to make a laminated hull, the results are well worth it to many. 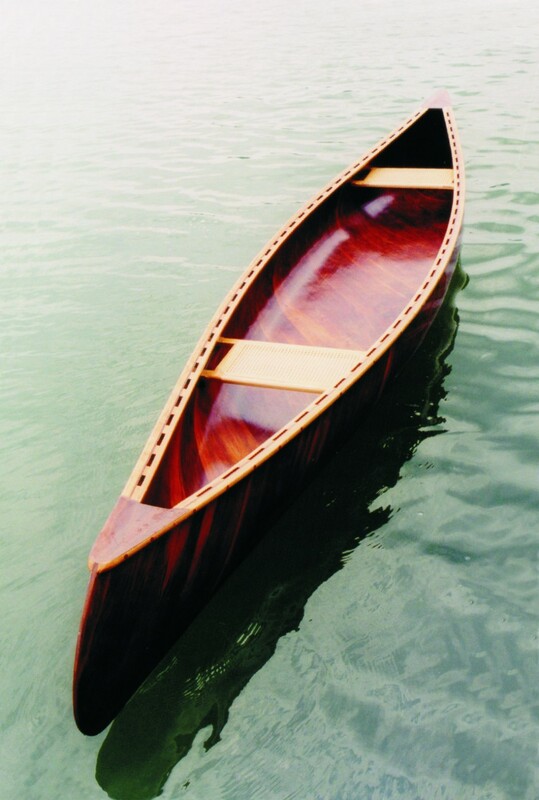 John used four layers of 1/20″ (0.050″) veneer for the canoe. The outer skins are made from American walnut and the interior layers are Port Orford cedar. He chose the cedar as the interior “core” because of its light weight and strength. He chose the walnut because of its beauty, rot resistance, and high strength-to-weight ratio. Laminating the walnut with epoxy greatly increased the compression strength of the wood and helped the entire structure’s stiffness. The hull was stiff enough at the gunnels that John felt it didn’t need thwarts, commonly used on canoes this size. The inwales, seat supports and decks were cleverly designed into the form and were molded right in the hull. The hull has a total weight of 55 pounds, not bad for an 18′ canoe. Twenty-five years provides a true test of time and durability for WEST SYSTEM epoxy, especially with a species of wood not commonly used in boat building. 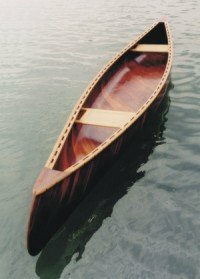 John’s canoe testifies elegantly to the beauty and lasting value that laminating with epoxy can bring.